By now, it is very likely you’ve heard dropshipping is the best way to start your business online. The best part of dropshipping is minimum initial investment; simply partner with a reputable dropshipping company and start marketing their products from your site. Usually, depends on how you want to approach your business, they handle all the shipping and other logistics involved in delivering the product to your customer, too. It all sounds too good to be true, huh? Probably.. But searching for a suitable and reliable shipping companies to partner with – that’s the tricky bit. With that in mind, we have put together for you a list of best companies to find products to dropship and sell! Let’s start with arguably the most popular one in the list. AliExpress is an online platform connecting international buyers from all over the world to small businesses in China. It’s sometimes compared to Amazon, but it’s more similar to eBay, in that both individuals and business can offer their products on their site. Curiously, AliExpress doesn’t allow buyers from mainland China, and doesn’t allow businesses or individuals who are non-Chinese to sell on their platform. Some of the stores in their platform have limited information available, so you’ll often have to rely on their store rating system and reviews by others who have ordered from them. AliExpress does offer buyer protection though; but in general, refunds are only given when shipped products are not received or if the product received is different from advertised in the case of high-ticket items like jewelry and electronics. No returns, no exchanges, no warranties. Doba is one of the most comprehensive dropshipping services out there. It not only provides a detailed directory of manufacturers and wholesalers, but also offers a platform to simply add the products you want without having to partner with multiple dropshippers. Typically, you have to partner with 20+ dropshipping suppliers. With Doba you just have to find the product to sell, list them on your site and then start selling! Doba will contact the supplier and send the product to the customers, removing the hassle of managing dropshippers. One of the largest product offerings that aggregate over 2 million products from nearly 200 suppliers. Immediate access to products from hundreds of suppliers. Email updates about supplier discounts, trending and seasonal products, and new suppliers in the categories that matter most to you. Doba offers a Basic Package for $29/month. Their Advanced Package goes for $69/month, which comes with eBay data export and access to elite seller support. Finally, a Pro package start with $249/month, that is bundled with Amazon data export and batch order updates. If you haven’t heard about Oberlo then you haven’t truly been dropshipping. Oberlo bills itself as the leading marketplace to search and find products to sell online at your Shopify store. Their platform for Shopify facilitates dropshipping by connecting merchants with suppliers, who then ship products directly to consumers. Easy one-click import of AliExpress products. Free account to give you a taste of Oberlo. Works only with Shopify stores. No shipment tracking, fulfillment monitoring or multiple users with free accounts. Only supports AliExpress, for now. Oberlo offers an amazing free account but you’re limited to 500 products and 50 orders per month. Paid plans jump to $29.90/month and $79.90/month, allowing you to scale with your sales performance. Dropship Direct offers well over 100,000 items from more than 900 brands. It’s free to use, but access to its Premium WholesaleFiles information is $37/month. This gives you a chance to try it for free, giving you access to its tremendous stock of items. It’s more like a directory of suppliers. Here, you pick your item to start with, then you can demand to have that thing dispatched to your client. So, you don’t really need to be in contact with the dropshipper. Dropship Direct’s cataloging features keeps you updated on the latest trends and new products added to its diverse inventory. Sunrise Wholesale is a service that dropships products directly to your clients. You gain access to 15,000+ brand products, and you can search for these products. Sunrise allows you to export your products – including images and descriptions – to eBay, Amazon and your own website. It even integrates and syncs with Shopify and BigCommerce. Recently, Sunrise Wholesale partnered with an import company to give it access to a 600,000-square feet warehouse and distribution center. Quick and accurate order processing. The services it provides has been recognized with an A+ award by the Better Business Bureau. Every account comes with a free eBay Listing Wizard and Research Tool. This makes selling on eBay a chore. You also get access to Amazon Selling and Research Manager. This comes handy if you are just starting out. Restocking fee is high. You will be charged a 20% restocking fee for non-defective products that your customers return. Offers about 15,000 products but from only 7 suppliers. Depends on your needs, this may not be diversed enough for you. Membership starts from $29.95 per month or $99 annually. The yearly subscription offers the best value. There are no dropship fees or minimum order amounts, but you will be charged that same 20% restocking fee for returns. Sunrise has a free 7-day trial, but you must provide your credit card details. Wholesale 2B requires you to sign up for a plan, but you don’t get charged anything for simply browsing the product database. Search for certain items and categories. When you find something to sell, just post it on your site for people to buy from you. Once a customer places an order, the Wholesale 2B site takes a commission and sends the product directly to your customer. Access to 1.5 million products! Several plans to choose from. Selective plans if you intend to sell on Amazon, eBay or your own stores. Built in e-Commerce marketplace integrations with Amazon and eBay. Real time integration with Shopify, Magento and BigCommerce. You can’t contact Wholesale 2B by phone or email. You can contact only by raising a ticket – which is quite slow. Doesn’t offer much when it comes to analyzing your sales and performance of the products you choose to sell. Their pricing is quite complex as they have too many plans. If you want to sell through an online marketplace (eBay or Amazon) then choose either eBay or Amazon plans. If you already have a website (Shopify, Magento, BigCommerce, Zencart) then you can opt for Wholesale2b Dropship feeds. Dropship feeds will provide you with a data feed of products. Don’t have a website? No problem, Wholesale 2B has a plan where it will build one for you. SaleHoo has more of a focus on presenting a detailed directory for companies you can partner with for your business. They have 8,000+ companies in their network that give you access to over 1.6 million products. 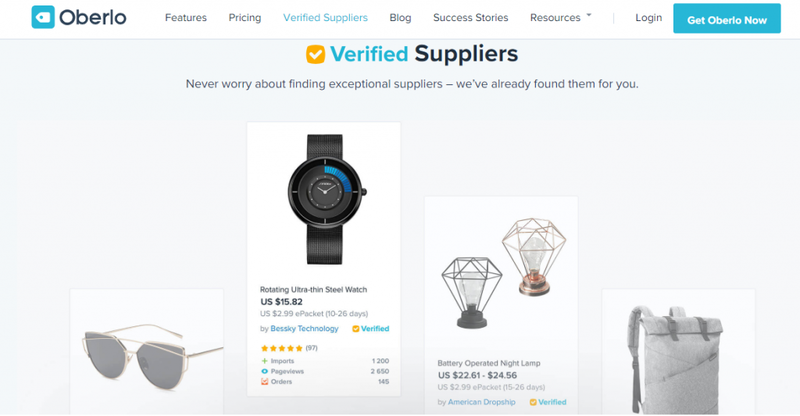 All the 8000+ suppliers are verified by the SaleHoo team already, so you can trust them for quality and other factors. The best part about SaleHoo is the community around it. SaleHoo manages a routine blog and forum so you can chat with others who are just like you and learn from them. You can use the Market Research Lab to find which types of products are more likely to bring you higher profits. No free trial, though they have a 60-day money back guarantee. Training can be somewhat overwhelming. They have recently changed their pricing plan to just one annual plan. It seems to be one of the cheapest in the market. 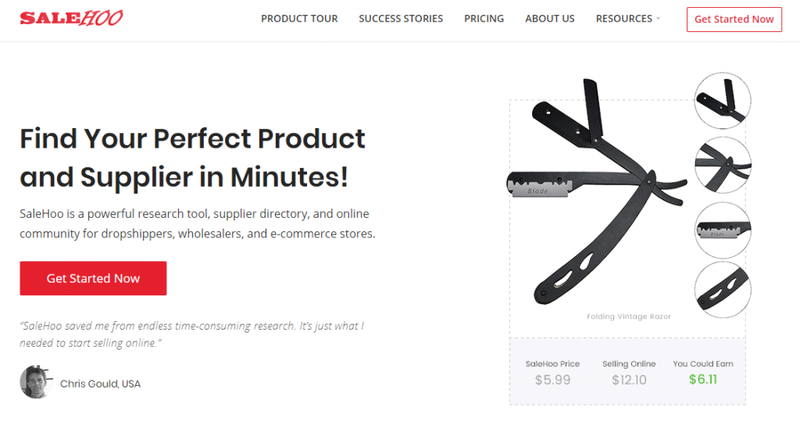 Look elsewhere if you want a great website, but the Wholesale Central is an otherwise quite decent tool for filtering through categories like clothing, electronics and leather goods. 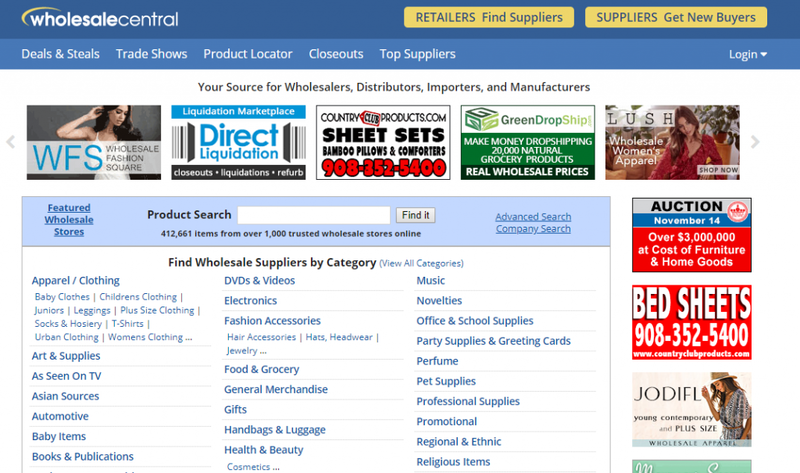 Wholesale Central has over 630,332 items listed with 1000+ trusted wholesale providers. The dropshippers are then listed with details for you to click on and view. When you click through to one of the dropshippers, it sends you straight to the manufacturer’s website, meaning there are no middle men to work though. You will be directly working with manufacturers. You can sign up for free. Earlier they had paid plans, but now it’s absolutely free. Megagoods is a direct supplier which has simplified the dropshipping model. They specialize in consumer electronics and video games with more than 45 categories. It has a large selection of brand names along with fast processing and private label shipping. Cheap – one of the lowest monthly subscription fees. Despite its low number of products and lack of research tools and other features, this is a low-cost option that could be right if your interest lies especially in consumer electronics. As stated, Megagoods offers far less products. It may be the lowest on this list (2000+ products). No website integrations, nor is there integration with e-Commerce marketplaces or stores. 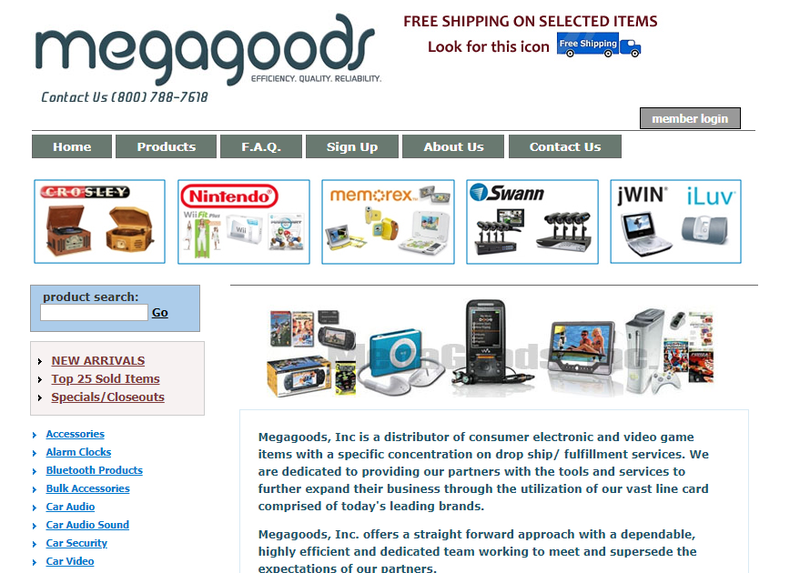 Megagoods offers a 30-day free trial and then paid membership at $14.99 per month. That’s it, the top 9 dropshipping companies and marketplaces that you need to know about if you’re in the drop shipping business! Pick one according to their strengths in their products, support and integration. Surely, one or two must work for you! After successfully picking one, the rest falls to your marketing & shipping. Boxme are here to help! Shipping single orders (weighted below 200gr) from Vietnam to the USA with ease by USPS – one of the most renowned freight players in the US shipping field. Uber-economical and competitive shipping fee. Lightning fast delivery time at approximately 10 to 14 days. Full-tracking – easily keep an eye on your order at all time using your order ID. ->> Why should you leverage USPS’s international single order shipping service with the help from Boxme?